Snippets of the ocean gravity video are resurfacing on the internet and we wanted to let you know that there is more to that video. The video is an edit of a short film made by Guillaume Néry. Here’s the description from his Youtube channel. Ocean Gravity is a short film that rewrites the rules of the underwater world and takes us this time into the world of the weightlessness. Just like in the space, there isn’t anymore a top or a bottom. There isn’t anymore upside down and wrong side out. 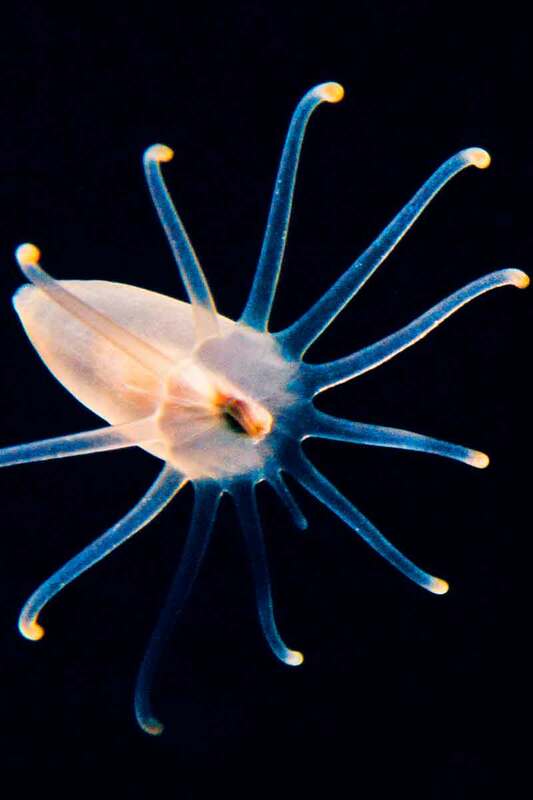 The ocean becomes cosmos, the man a satellite, and the bottom of the sea an unknown planet. Welcome in the fascinating universe of Ocean Gravity. Here’s the entire freediving short film. 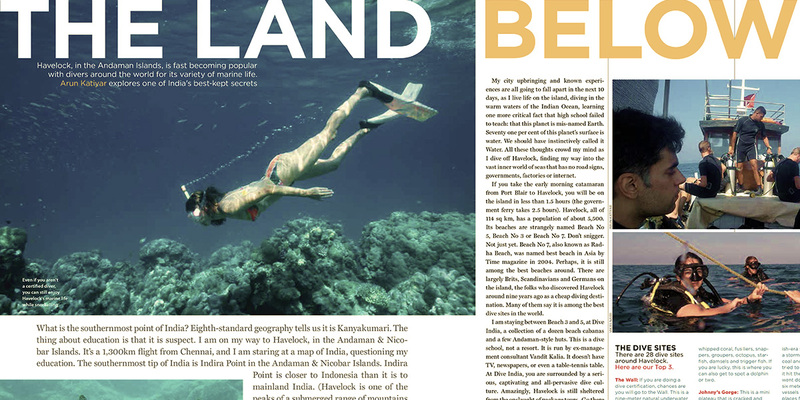 By a strange coincidence, DIVEIndia now offers Freediving certification. Hint hint! We know this is an old post, but its definitely worth viewing. False killer whale sightings are rare, but when photographer and naturalist Scott Portellini was snorkelling in Tonga, he experienced something divers dream about. The video footage showing the leap – and the snorkeler’s astonishment. The video was posted on Facebook by guide and photographer Scott Portelli, after a Swimming With Gentle Giants humpback whale excursion. False killer whales (Pseudorca crassidens), which can grow to about 17 feet, are uniformly black or dark gray, and do not resemble killer whales. They were named because, like killer whales, they sometimes attack small whales and dolphins. Let’s start by clarifying something – rain doesnt matter so much for diving. Yes, it can affect visibility at shallow depths, but this only happens when there is extended rainfall here (which doesnt happen often, even in the monsoons – we usually get short showers). Furthermore, most of our dive sites are off shore and once you descend to the dive depths, conditions arent affected so much. Tides play a much bigger role in affecting underwater visibility and that changes from week to week – so the range of visibility remains more or less the same all year long, whether it is raining or sunny. What matters more is wind. When it is too windy, the seas are rough and we cannot go out to the open sea (or sometimes, we can go out but decide not to, in order to be safe: our standard isnt “can we dive in this”, but “if something were to go wrong, can we manage the situation safely for everyone in this”). However, even when it does get rough, we have a bunch of sites that are accessible all year long as they are sheltered from prevailing winds – what we cannot do is visit our remote, highlight sites like Johnny’s Gorge, Dixon’s Pinnacle and Jackson’s Bar. This doesnt affect beginners so much, but does affect certified divers. January-May period is when the seas are the calmest (especially March-May, when the sea is sometimes to calm that it resembles a mirror) and surface conditions are best for diving. June – August is the rainy season. This is different from the mainland monsoons, and consists of wet periods (when it is cloudy all day and there are frequent, brief showers) and dry periods (when it is sunny and calm for several days or even weeks). During some of this time, we are able to visit all our highlight sites and at other times, we are restricted to the nearby, sheltered sites. While the diving is usually fantastic due to fish spawning in the warmer water, odds are higher that we will be limited to our nearer sites. However, the weather is usually very pleasant at this time, the package tourists are away and the island reverts back to a sleepy, idyllic paradise. September-November is what we call the “new season” – during this time, the south-westerly winds are starting to die down, but there are still regular showers and occasionally, the winds do pick up. At this time, the diving is absolutely fantastic (a lot of fish spawn in the rainy season, so there is a lot of bio-mass on the reefs) and the sites are at their absolute best. The flip side, of course, is the slightly higher risk that winds may play spoilsport and limit us to nearer sites. Also, currents can be stronger at this time. December is a bit of a transition time – the terrestrial weather is lovely, sometimes there are showers and the winds can be moderately strong. FOR BEGINNERS: It doesnt matter when you come. We have sites that are accessible all year long, even in a storm, and the conditions of these sites usually do not vary that much whether it is on or off-season. In season, things are sunny and the islands are busier – in the off-season, it is quieter, things are more relaxed and the weather is actually very pleasant. And because the rain takes the form of brief showers, you can actually explore the islands without any issues). FOR EXPERIENCED DIVERS: Based on the recent weather trends over the past 5-6 years, we’ll say that March/April/May offer the best chances of calm conditions, followed by January/February, followed by September-December. 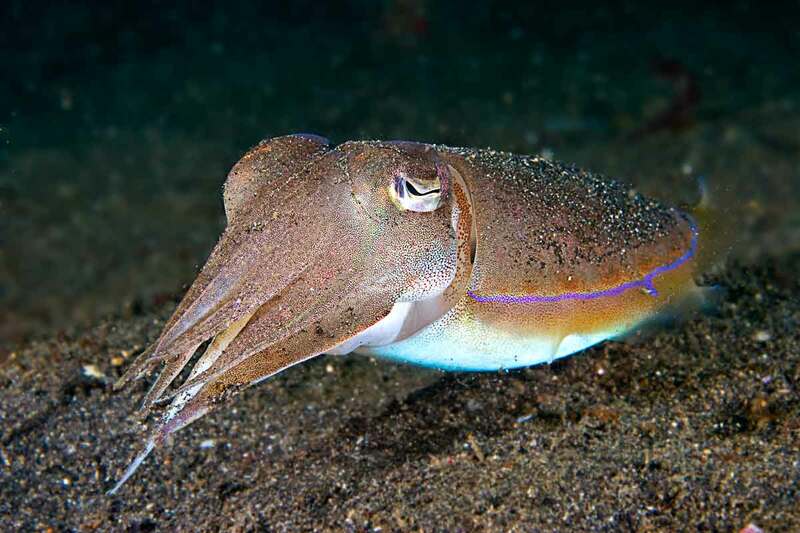 Conditions in June, July and August can vary – if you are lucky, you’ll get superb diving with just 2-3 people on the boat, and if you are unlucky, you’ll be limited to our nearer sites (which are very nice, but probably a step or so behind our highlight, open-sea sites). 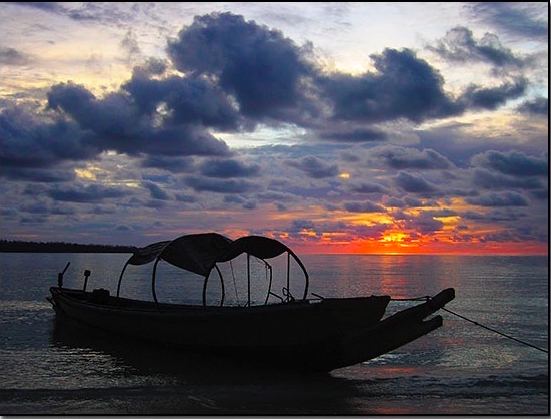 Of course, the weather being what it is, there are no guarantees but hopefully, this will help provide some information in helping you plan your trip to the Andamans. What does scuba diving feel like? One of the downsides of having been diving for a while is that sometimes, it is easy to take the ocean’s wonders for granted – yes, the diving is still enjoyable but that sense of wide-eyed wonder is lost. The more you dive, the more cool things you see, the less you tend to be excited by the common, everyday stuff – which, if you take a step back and think about it, is pretty damn amazing. 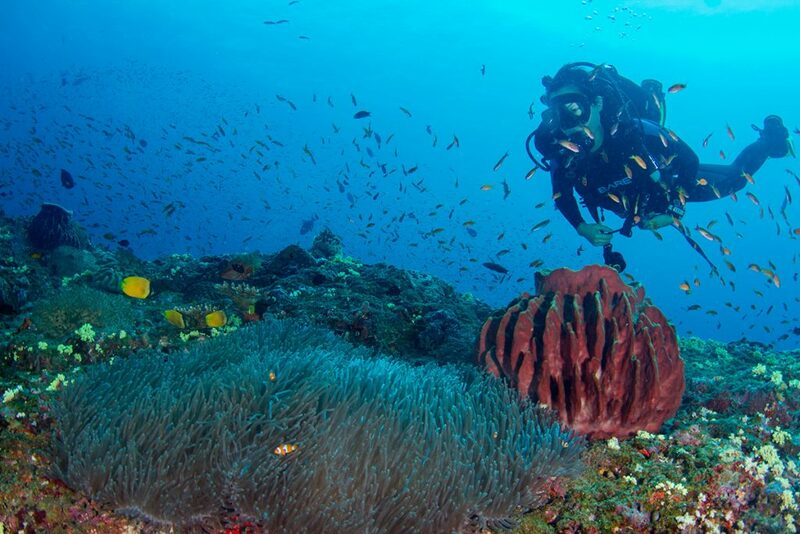 On any given scuba dive here in the Andamans, you can see well over a hundred species of marine life. Translate that to seeing 100 different animals in a national park, or 100 different birds in a morning walk. The same thing happens with the Andamans. After going out for an evening walk with the dogs daily for nearly 10 years, it is easy to take the long stretch of quiet, untouched beach, the clear azure waters and all the interesting marine life in the low tide rock pools for granted. It’s human nature, after all. For those interested in learning to dive, we offer the Open Water Course. Contrary to popular belief, you don’t have to be an expert swimmer, or a daredevil adventurer in order to dive. 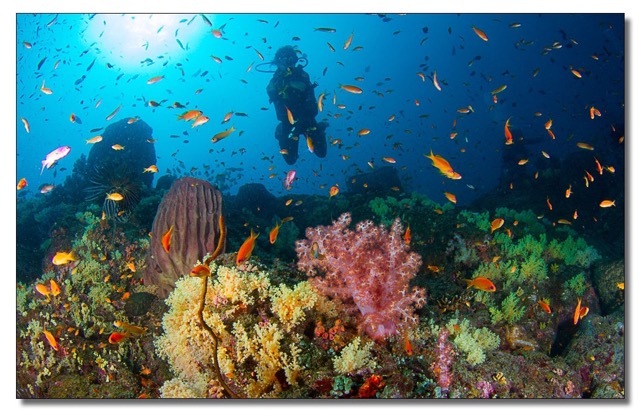 Recreational diving is one of the safest sports around, and is suitable for everyone from the age of 10 to 65-plus. All you need is basic swimming capabilities, moderate fitness levels (ability to walk a kilometer or two without fatigue) and good health. – Open water dives: now you get a chance to apply everything that you have learned by actually diving. We do 4 dives in the open water, where you repeat some of the skills that you learned earlier, and where you also get a chance to dive, enjoy yourself and soak in the wonders of the underwater world. 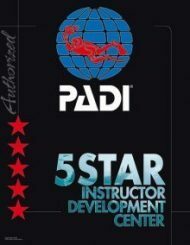 At the successful completion of this course, you receive a certification card from PADI or SSI, two of the largest diver training agencies in the world. A quick word on these agencies: either of these cards will let you dive anywhere in the world – both are universally accepted (contrary to a popular misconception that one works better than the other). They are also interchangeable (you can start with one and switch to another, and each agency recognises the other’s cards). Regardless of which option you choose, you get a high-quality course. There are some minor differences in curriculum (more so at higher training levels), add-ons and pricing, and these, rather than brand, should form the basis of your decision. Our instructors will be happy to work with you in selecting the course that is just right for you – contact us for more info. Typically, the Open Water course lasts 4 full days. However, we recognize that different people learn at different speeds – besides, you are on vacation and may want to spread out your training. So, the time to certification can be more or less. Two things are for sure: we will not rush you, and we will not compromise on your training. The DIVEIndia approach: As with our diving, we believe in small groups and personalized attention for training. With our large staff of instructors, we are able to keep our classes small – usually 4:1 or better student:professional ratio – ensuring that you get all the personal attention that you need. Furthermore, as with all our courses, we go WELL beyond the bare minimum in terms of how skills are integrated, in terms of amount of in-water time you will get and also the degree of comfort and mastery that we impart before certifying someone. Please keep in mind – just as all coaches, teachers and colleges are not the same, neither are all diving programs the same. We conduct what we consider to be one of the best Open Water training programs you will find in Asia (and even elsewhere): we have one of the most experienced teams of instructors in the region, we go well above the bare minimum in terms of standards and our goal is to actually make you a qualified diver, not just check off a set of skills and let you go. Think of the difference between learning a subject and learning to pass an exam – that sums up the DIVEIndia difference. We highly recommend you club the Open Water Course with the Advanced Open Water Course. The PADI Advanced Open Water course / SSI Advanced Adventurer (same rose, different names) consists of 5 dives: two are mandatory (Deep Dive and Underwater Navigation – Night is highly recommended), and for the remainder, you can choose from 15 options, including Night, Computer, Naturalist, Buoyancy, Wreck, Boat, Underwater Photography and lots more. This is a practical course (emphasis on in-water training) and is meant to give you experience in diving under different conditions, as well as provide you with a deeper understanding of dive theory, planning and techniques. You do not need to commit to this in advance, but if possible, try to keep 2-3 days extra on hand after the course for this. Virtually every one who has done the combo has loved it. Anyone who has done an Open Water or Advanced course with me knows that I feel that a dive computer is the single most important piece of equipment a diver should own. With a dive computer on your person, you have full control over your dive and are completely self-reliant – which is exactly what you, as a certified diver, should strive to be. A divemaster or more experienced buddy is good to have as an added layer of safety, but your safety is your responsibility and no one else’s. Yes, it costs a little bit of money – but really, if you factor in the years of use you can get out of it, the annual cost is not that high. And having all the information not only improves your safety, but your confidence as well – and that means you are more likely to dive. At this point, I can hear someone going “yes, but i can do this with a dive table as well”. Yes, you can, in theory. I did a dive yesterday – max depth 30m, total dive time 58min and at no point did we come anywhere close to our no decompression limits. If you were on tables, you would be out of the water in 24-25 min. Do you really want to pay thousands of dollars on vacation and then give up on >50% of your dive time? Let’s get real. Dive tables are obsolete for recreational divers and for good reason. But I digress. Getting back to dive computers: until now, it really wasn’t cost effective to buy scuba gear, including computers, in India. However, times are changing. As those of you who are members of our Facebook group know, the scuba market in India has finally evolved to the point where manufacturers are taking it seriously, and now it is becoming increasingly cost effective for people to buy gear here. So that led to me scouring the various price lists to see if there was a dive computer that could be a sensible alternative to the Suunto Zoop, one of the heavyweights in entry-level dive computer category – and this search led me to the Aqualung i300. Before we start, a word on ‘entry level’ – that is not the same as ‘cheapest’. The idea is to find a computer which has sensible set of features ie, one which includes everything that is essential, and where you are neither paying extra for a bunch of optional bells-and-whistles, nor saving money by giving up on things that are important (be it features or usability). The Aqualung i300 is an over-sized dive computer which has 4 modes: Air, Nitrox, Free and Gauge. The first 2 are for diving, the 3rd for skindiving/apnea and the last for use as a bottom timer when doing technical diving. The first thing that jumped out at me was that the i300 has user-replaceable batteries. This is a heaven-sent. My personal computer, a Suunto D9TX, requires me to send it to Thailand every time the battery runs out – which means a couple of months without it. User-replaceable batteries are a ‘must have’, in my opinion. 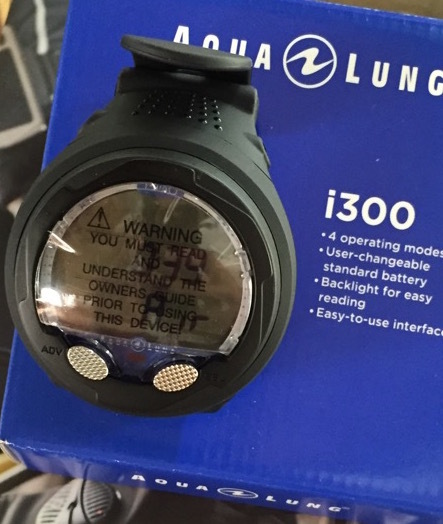 The i300 also comes with a bunch of useful features: backlighting (for viewing in the dark), auto-detection of altitude and fresh water/sea water, the usual depth and time alarms & 2 unique alarms: a ‘Dive Time Remaining’ alarm (which can be set to beep to however many minutes before you hit your no-deco limit) and a nitrogen loading alarm (which can be set to beep when you hit 20%, 40%, 60% or 80% of your max nitrogen loading). It gets credit for having a sensible Dive Plan mode – on many computers, including several Suunto models, accessing the Plan mode during a surface interval would only provide the bottom time based on the current surface interval. So if you were 30′ into the SI and wanted to get in the water after another 45′, there was no way to figure out how much bottom time you would get then – the Plan mode would only show you how much bottom time you had at that time. Thankfully, the i300 lets you add more surface time to the planning mode, which makes it actually useful for figuring out how long you have to wait or what your depth/time limits would be when you actually got into the water. Two other neat features – it has a ‘Deep Stop’ option you can enable, if you want, and it also lets you specify the depth and duration of your safety stop. 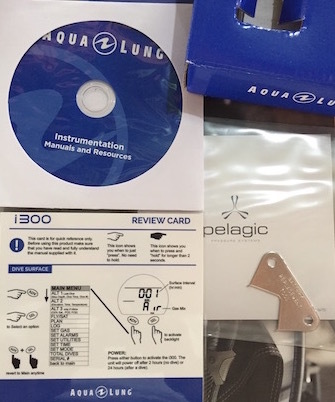 In addition to the above, the Aqualung i300 also has all the other usual features – dive log mode, total number of dives logged, a conservative factor setting (which lets you make the computer more conservative), metric/imperial adjustments and the ability to sync with a computer with an optional cable (this lets you download your dives for review on a computer or online dive log software, and also lets you upgrade the firmware of the device if need be) and auto-on – although for some inexplicable reason, you actually have the ability to turn off the ‘auto-on’ function, if you so desire. 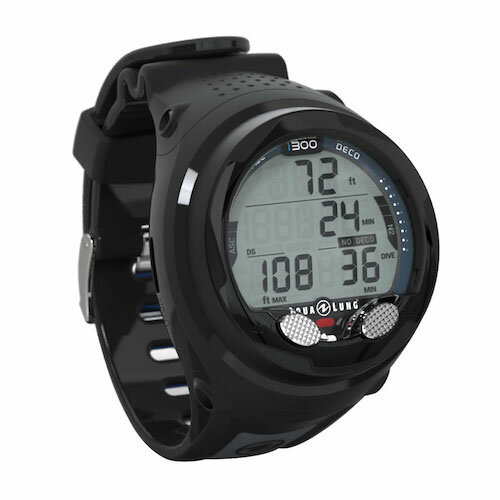 Lastly, the i300’s Free Diving mode is quite robust: not only does it includes things like a Countdown Timer (before you start your immersion), but the computer actually tracks your activities in Free Diving mode. So that means you can switch from Free Diving mode to one of the Diving modes (Air or Nitrox) at any time – many other computers, including several Suunto models, require a 24-48 hour waiting time before letting you switch modes. All of this is well and good, but ultimately, the main purpose of a dive computer is to help you plan and execute your dives. How good is the i300 at this? Let me take a step back and sign a paean to Suunto dive computers. They are one of the heavy-weights of the dive industry, and with good reason – sophisticated computer models, workhorse reliability and smart interfaces. However, the big knock against them has always been how overly conservative they are – they use a very advanced model called RGBM, which tries to predict and minimize silent bubble buildup in the body, but the downside to this is that your dive time is greatly reduced, especially on repetitive dives. 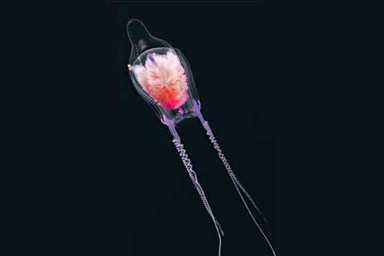 The i300 is made by Pelagic Systems – who also make dive computers for Oceanic, Mares and others, and who are one of the leaders in developing decompression algorithms. The i300 uses their PZ+ algorithm, which is a moderately conservative algorithm, slotting in between the liberal DSAT model (also created by Pelagic) and Suunto’s conservative RGBM model. So in theory, this should give you more bottom time, especially on repetitive dives. But hold on – isn’t it better to have a more conservative computer? 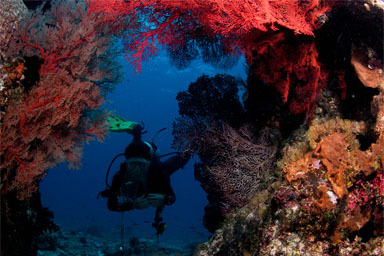 I sort of agree with that – their extra conservative model is the reason we use Suuntos in our dive center, after all. However, the decision-making for a dive center is going to be different from the decision-making for an individual: we have to take into account divers of all body types, fitness level, age groups, health levels and abilities. You only have to take into account yourself. And the inescapable fact is that millions of people have been diving safely for years using variations of the Buhlmann model (which is the compartment-based model that you learn in Open Water and even Divemaster), of which the PZ+ is a derivative. So at what point is a computer conservative enough? Suunto themselves recognizes it to some degree – on their higher end computers, such as the D9, they offered a setting which would let you make the computer less conservative. Generally, my belief is this – unless you have a condition which requires you to be more conservative when it comes to DCS (age, fitness, overweight), the PZ+ algorithm is going to be more than adequate at keeping you safe – just be careful about watching your ascent rate, give yourself atleast an hour between dives and follow all the concepts of safe diving that you learn in Open Water, and you are good to go. Over the past few days, I have taken the computer for a bunch of dives, along with my Suunto D9TX and a Suunto Zoop from the dive shop. To test how the computers responded to various diving situations and emergencies, not only did I do a day of regular diving, but I also took all 3 computers into decompression, and did a day of reverse profiles (a shallower dive first, a deeper dive second). The computer behaved pretty much as i expected: on the first dive, I got a bottom time that was somewhere in between my D9TX (which has the reduced RGBM algorithm) and the Zoop (which has the full RGBM algorithm). The difference between all 3 computers was fairly small. On the second dive however, the i300 gave me a little bit more bottom time than the D9TX, and both gave me significantly more time than the Zoop – this is pretty much what I expected, given the algorithms. The backlighting worked well, the tactile buttons were a pleasure to use, and all the automatic features of the computer worked precisely as they were supposed to. And the readout is very clear and easy to read, with all the essential information available at a single glance. On the reverse profile day, the same held – all 3 computers gave readouts that were ‘sensible’, with similar bottom times as earlier. On the decompression dive, there was a significant variation, however. I went down to past 40m and hung around till all 3 computers went into deco (no significant differences in bottom time here) and started to ascend once both computers were showing me 5′ of ascend time. As i ascended to a shallower depth and the controlling compartment changed, the Sunntos gave me credit for off-gassing on the faster compartment and the deco obligation cleared by the time i was at 15m. However, the i300 obstinately kept that deco clock ticking till I ascended to shallower than 10m. This is a key difference – the Suuntos are designed for decompression diving (provided you are trained and qualified to know how to use them for this), whereas the i300 is strictly for recreational, no-deco dives (and it doesnt pay any attention to that ‘recreational deco’ nonsense) – So someone who is a technical diver or planning to become one may prefer a different computer. However, for the vast majority of recreational divers, this isn’t such an issue. You shouldn’t be going into deco anyway. 2 weeks ago, if you had asked me to recommend an entry-level computer, I would have blindly said Suunto Zoop/Vyper – why? 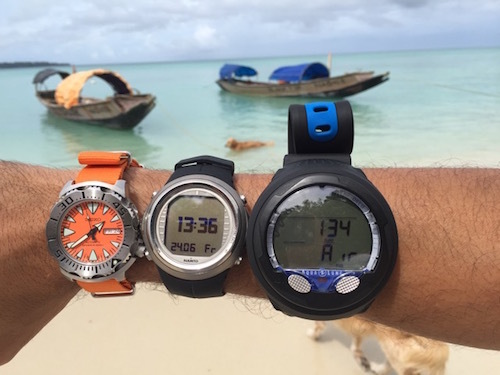 Because i am a long-time Suunto user – and Suunto is also the brand that we use in the dive shop, with excellent results. However, while the Zoop still makes sense for the dive center, I think that for an individual diver, the slightly less conservative algorithm of the i300 makes it a better buy, especially given that prices are comparable. There are a couple of cheaper options out there, such as the various 1-button dive computers like the Mares Puck. However, going back to what i wrote earlier about the difference between ‘best entry level’ and ‘cheapest’ – single button interfaces are a pain in the rear. Given that the monetary savings would have been very modest, I ruled those out. There are also more expensive options out there – what a greater price gets you is a smaller form factor (so you can wear it like a wrist watch – which is actually a really good thing: it goes with you whereever you go, so you are sorted if you make a last-minute decision to go diving somewhere), air integration via optional tank transmitter (so you can see how much air you have left, both in bars and time, based on your breathing rate), an in-built digital compass (that’s nice to have for serious divers and pros) and, at the highest end of the scale, the ability to switch gases between various nitrox and helium blends and rebreather modes (useful for technical divers). All those features are nice to have, and if budget allows, by all means go for it. A Suunto D6 or equivalent is a great buy in that price range. But if you are a casual recreational diver who is not looking to spend a huge amount of money on unnecessary gear, the Aqualung i300 gets my vote as the first piece of scuba gear you should own. We were featured in the Man’s World Magazine – Glossy! 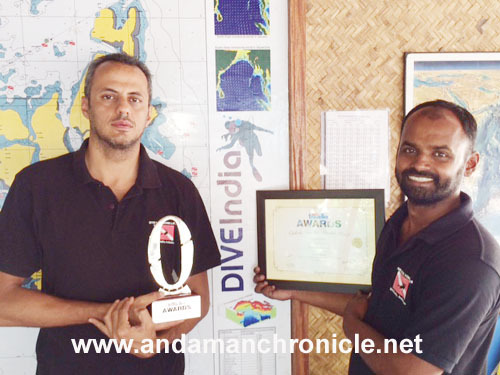 Port Blair, March 28: Andaman’s oldest scuba diving center ‘DIVEIndia’ has been awarded India’s Favourite Adventure Tour Operator, based on a poll of over 7500 readers of Outlook Traveller magazine and website. Vandit Kalia, Managing Director of the company, was presented with a plaque and a certificate by Shri Parvez Diwan, Secretary of Tourism, Ministry of Tourism, Govt of India, at a function held in New Delhi. The poll, validated by IPSOS, is an authoritative benchmark of consumer preferences in the areas of travel and tourism, including hotels, airlines and holiday destination and is part of an annual survey conducted by Outlook Traveler Magazine. Commenting on the award, Kalia said, “This award goes to each and every person of the team, all of whom have quit corporate careers to pursue their passions – we strive to offer the highest quality scuba diving services and at the same time retain a personal touch, and being recognized by our guests for this is one of the most rewarding things for all of us, especially as it comes during our 10th year anniversary”. DIVEIndia has been operating in the Andamans since 2003 and has established itself as one of the leading dive training agencies in India, offering training programs all the way from beginner to instructor. It celebrated its 10 anniversary in December 2013, and has plans to expand operations to cover all major Indian cities.